I’ll Be Gone in the Dark —the masterpiece McNamara was writing at the time of her sudden death—offers an atmospheric snapshot of a moment in American history and a chilling account of a criminal mastermind and the wreckage he left behind. It is also a portrait of a woman’s obsession and her unflagging pursuit of the truth. 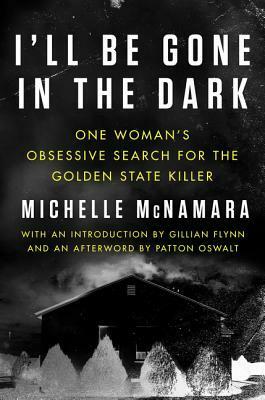 Utterly original and compelling, it has been hailed as a modern true crime classic—one which fulfilled Michelle's dream: helping unmask the Golden State Killer. I caved to social media pressure to read this one, everywhere I looked I saw this book. Especially when news reports of an arrest started coming through. Michelle McNamara had a blog called TrueCrimeDiary and had a fascination (to put it mildly) with unsolved murders and the EAR/Golden State Murders is the focus of this book. She writes with grace and respect for the victims, she didn’t glorify the acts but protected the innocent. Her research is almost obsessive and it’s sad that in her passing she was not able to see his arrest. This book presented the era, the various locations with detail as well as the criminal procedures in a time before DNA testing. This is a gripping story and for those that sleep uneasy you might want to have your dog close by, I read a lot of this while alone for a weekend and I think I even made my dog nervous. But really what did I expect, it’s a book about some absolutely horrible crimes. I don't read a lot of true crime, nonfiction book and am trying to rectify that this year. My copy was from my personal library. I have been seeing this everywhere! I want to read it, but I'm not sure I'll do it anytime soon. I have so much to get to right now, and most of it is nonfiction. It takes me a while to get through a nonfiction book because I read slowly, trying to remember everything!